The nomological network of the technology acceptance model is expanded through the addition of affective and task-preparation variables as antecedents to traditional predictors of technology acceptance:output quality, result demonstrability, and ease of use. An empirical study involving a visual/simulation information system, set in the domain of retail merchandise planning, finds that negative affectivity (NA) is a consistent and strong negative antecedent to perceptions of output quality, result demonstrability, and ease of use. In contrast, positive affectivity (PA) is a significant and positive antecedent to ease of use, but not necessarily a significant antecedent to either output quality or result demonstrability. 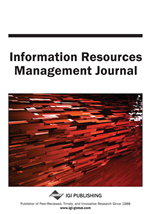 A new construct developed from the job characteristics literature—perceived task preparation—measured the subject’s perceptions of the pre-system usage training, which included task design and modeling instruction, scenarios of activities within the prospective information system, discussions and review of the system documentation, and highly structured, pre-task system use activities. Perceived task preparation was found to be a significant and strong positive indicator of computer self-efficacy.